The College offers a host of Extra Credit Courses to enhance academic experience. The courses are both knowledge-based and skill-based and add value to the students’ academic portfolio. The course offered are interdisciplinary and open to all students across all streams. Credit for courses pursued reflect on the official marksheet. 15-hour courses earn one credit while 30-hours courses earn two credits. The Department of English believes that each student has unique abilities which must be identified and guided in the right direction to create responsible members of society. 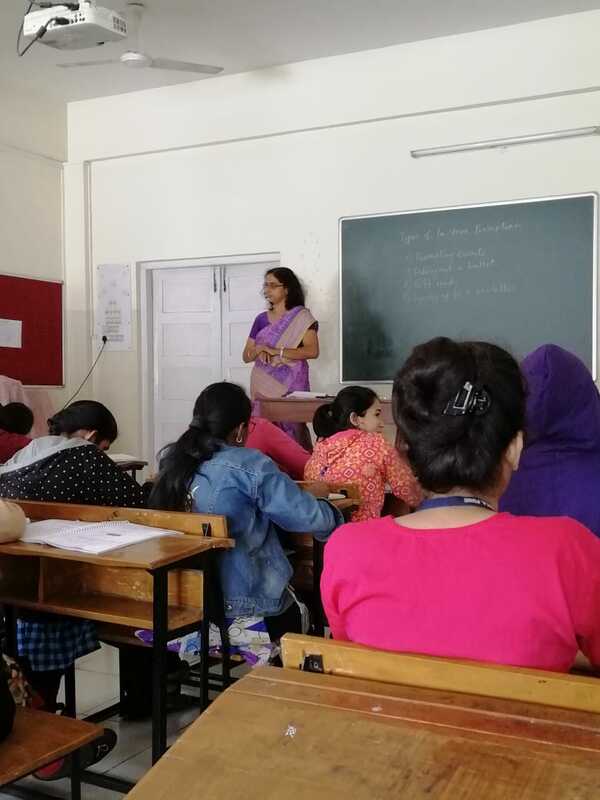 To acquaint students with various careers in the world of languages and to better prepare them for a world outside the college, the Department of English introduced an inaugural single-credit Content Writing course. The course was jointly conducted by well-known writers with experience in content generation, Mr. Ranjan Rajgopaul and Mr. Sopan Sharma. 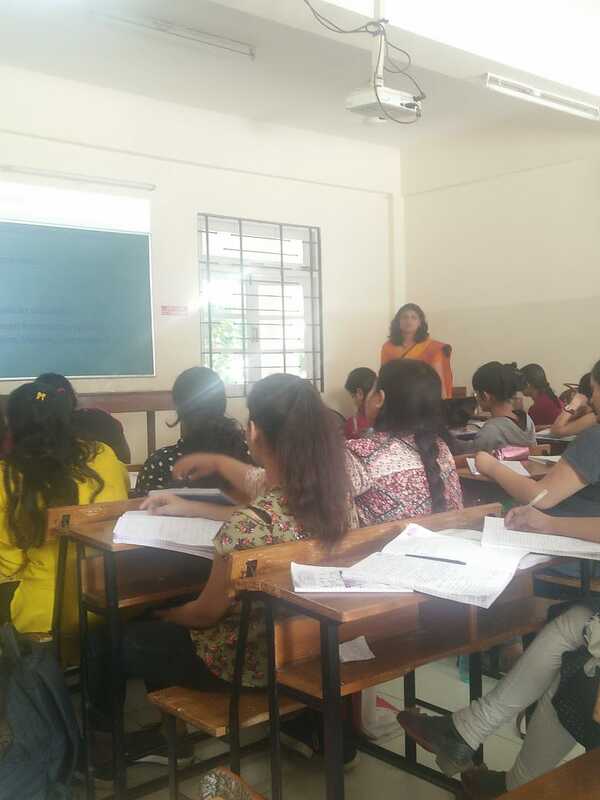 Over the course of 4 weeks, from 16th August 2018 to 21st September 2018, the course addressed a detailed variety of hot topics like advertising copy for print/web, website content fundamentals for promotions, technical writing, journalistic writing, writing for phone/WhatsApp video, and fiction writing. the instructors aimed to facilitate the interaction between industry experts and students by exposing and updating them regarding the scope, trends and possibilities of careers in modern media and communication. Their carefully structured course provided students the training and exposure to a variety of writing styles demanded by employers, through competent and challenging assignments. The English Department took the initiative to introduce an extra credit editing course this year for the students of BA and MA English. This was done keeping in mind the plethora of career options available today and the need to prepare our students for them accordingly. The course was taken by Ms. Zoha Peerbhoy, a former editor with a multinational organisation. 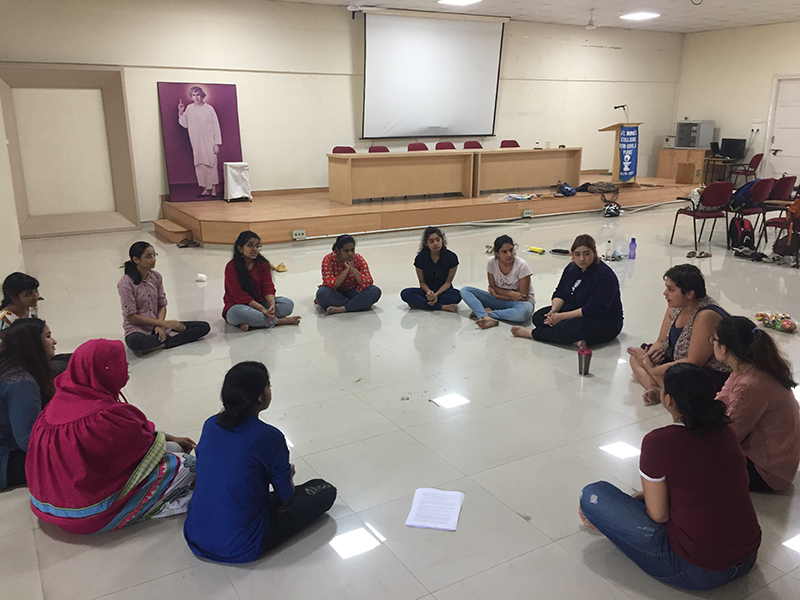 The insights she brought to the course, along with the hands-on, real-time examples made for a very practical course - the hallmark of experiential learning. The course covered all the important topics of editing, right from basics like punctuation, grammar and spellings, to more advanced topics like readability and enhancing the quality of the content. The course was received with great enthusiasm, coupled with a yearning to learn more about the field of editing and the various possibilities in this field. Already it has resulted in one student getting a job at a renowned company as a sub-editor, and another nine students getting the opportunity to edit three PhD theses and a novel.The course bears a single credit. With the enthusiastic and positive feedback and the students’ zest for learning, emerged our very own Editing Cell at St. Mira’s. The Editing Cell allows students to take on editing assignments and get hands-on experience editing real time projects. A small remuneration is also awarded to students for successfully completing an editing assignment. All in all, the Editing Cell is off to a great start. We look forward to its continued growth and popularity. Swapniel Desai originally a senior instructor with Shiamak Davar Dance Institute went on to form his own dance company which choreographs dances all over the world. He is currently involved with a movie production but because of his long-standing relationship with St Mira’s, he still comes all the way from Mumbai to do an annual dance show which he has been choreographing for us since the last three years. This year the performance style was burlesque involving great skill as the girls dance in high heels. The course is a single credit course and always begins with a warm-up, exercises and some theory. This is followed by the actual setting of the dance and choreography. 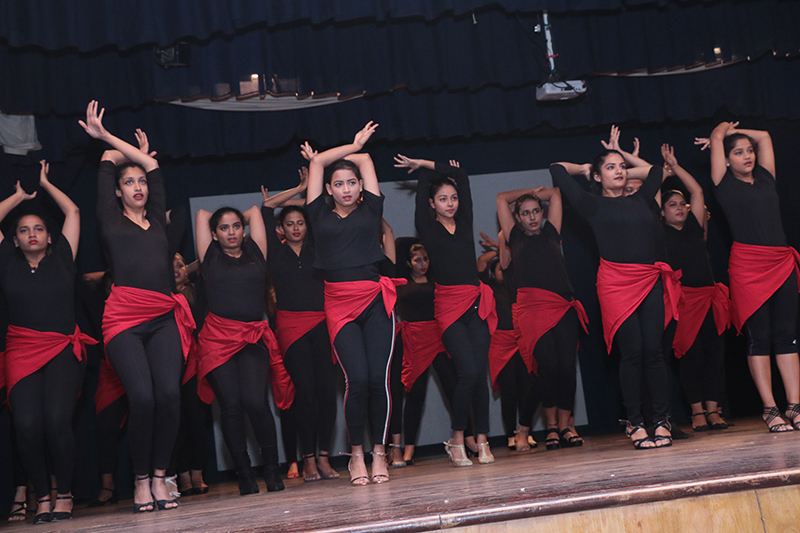 This year the final performance was part of the opening of the two-day state-level students’ seminar organised by the Department of English titled “Reconstructing Perceptions of Womanhood: Myth, Body and Taboo”. The dance was a mind-blowing show stopper. 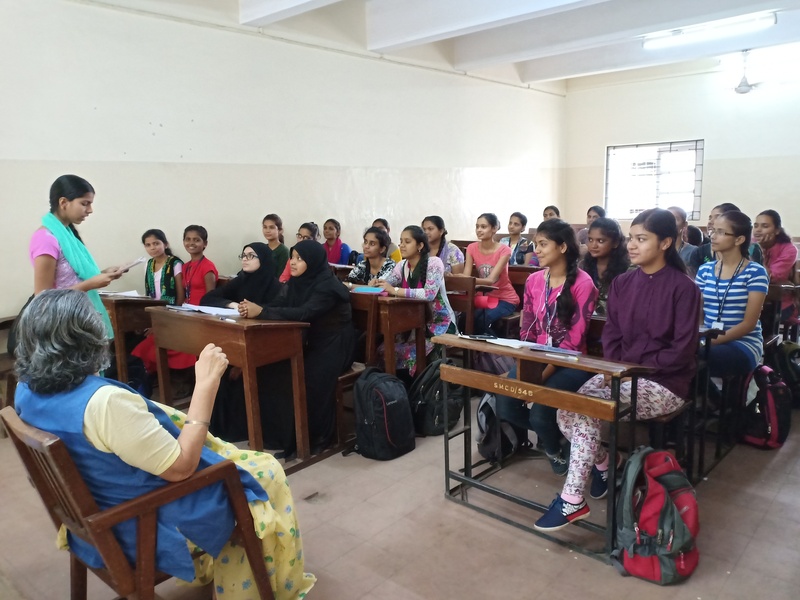 Hina Siddiqui, a talented young dramatist conducted a script writing extra credit course for the students of St. Mira’s College. The course was preceded by an introductory workshop on script writing. Through the script writing extra credit course, the students learnt to write their own plays and then eventually publish it in the magazine and perform it for the college. 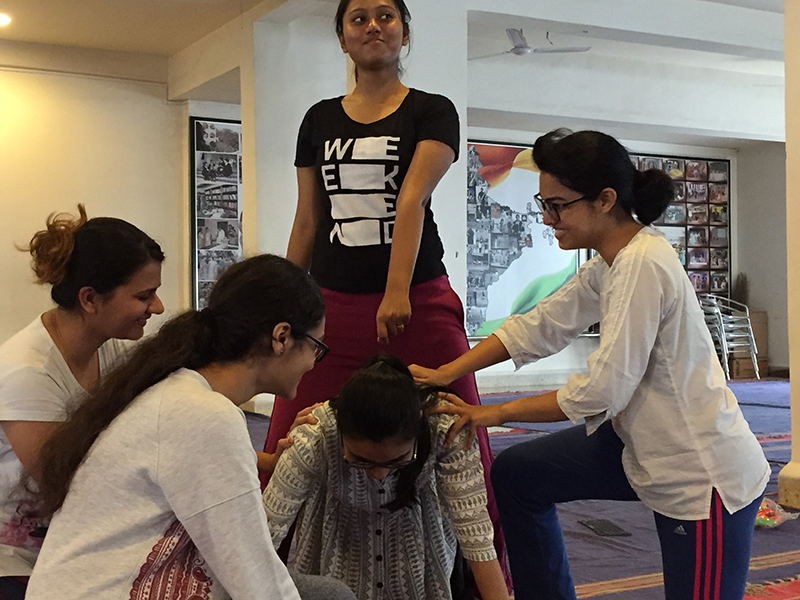 It was a single credit course which taught the girls to ideate, put down dialogues in a creative manner that makes sense, coheres and can be translated into performance. The objectives of the course were: to introduce character and motivation through scene study; to understand story-boarding through 3 frame stories / Mise-en-scene; to explore examples of editing for action; to understand the purpose of a script (What is a script? Who is it for? What are the elements of a script? ); introduction to the different kinds of stage-work and writing for stage; practising action in stage work and writing in beats; building characters with depth through backstory and acting exercises; creating a storyboard for the play; writing dialogue and stage-direction and understanding scene-work and creating scenes with actors. The course was conducted by the Department of English. 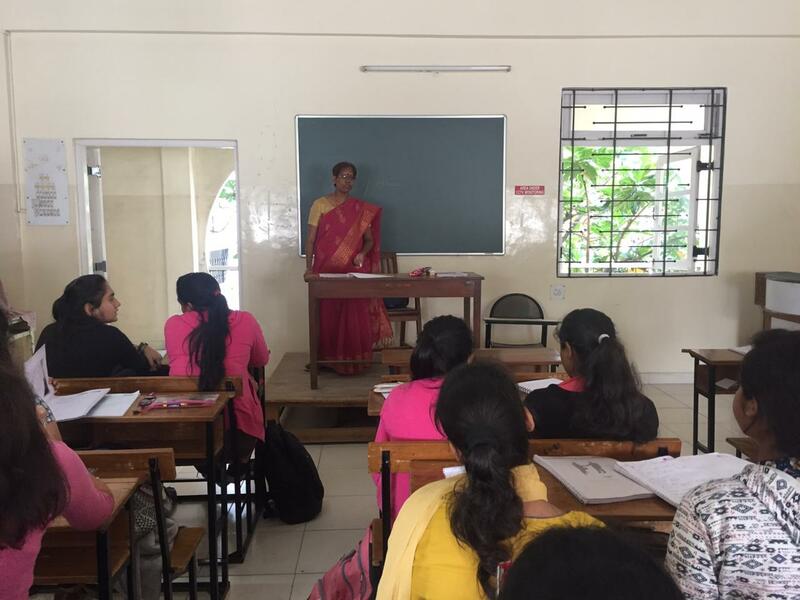 Meena Murdeshwar has 50 years of teaching experience below her belt. Her specialisation is English Language Teaching and Distance Education from EFLU, Hyderabad. She handled a class of 56 girls with ease, not just teaching them verbs, tenses and articles but she also worked on their confidence levels and ability to communicate on an everyday basis. 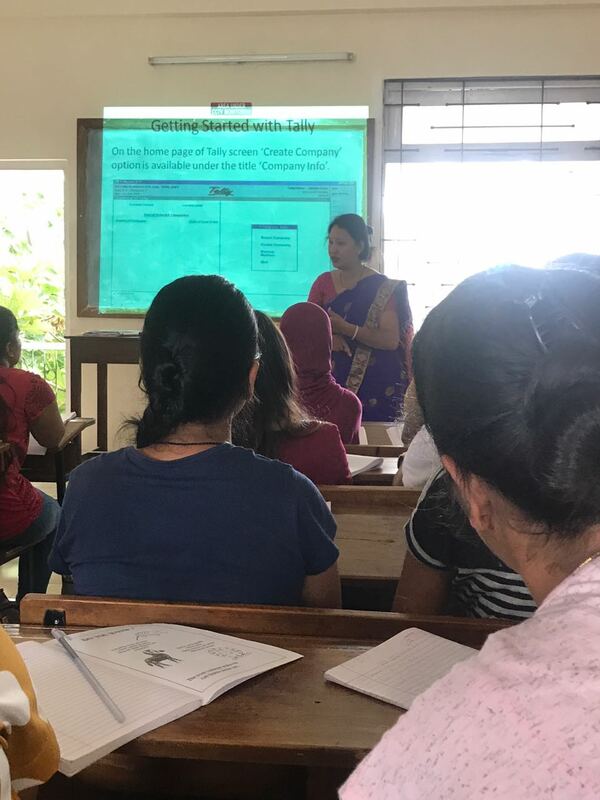 The course started on the 1st of August, was of two credits and was conducted at the beginning of the year to serve as a bridge course especially for the first year students however it attracted students from all the different streams in the college. 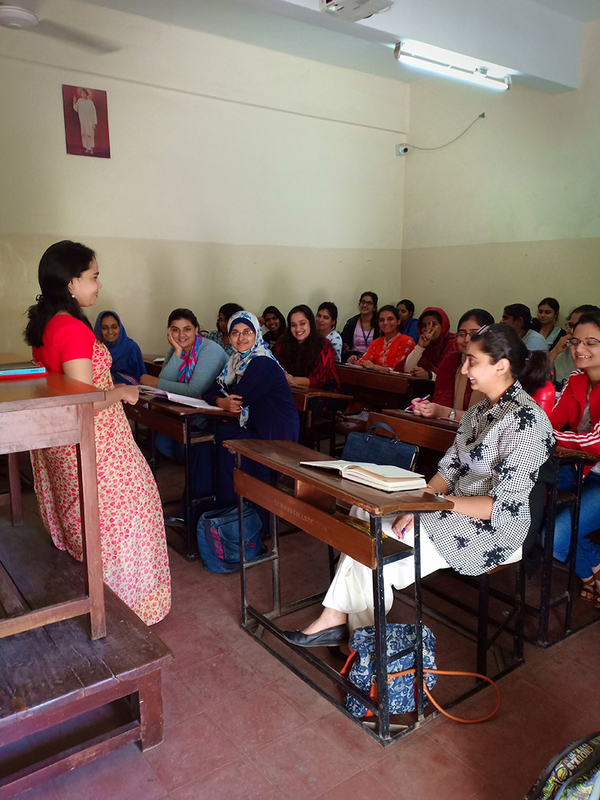 The course was subsidised by the college and only a nominal fee of Rs 200 was charged. The BBA Department organized a 15-hour credit course on Image Management-Advanced Level from 21stJan 19-to 06th Feb 19. 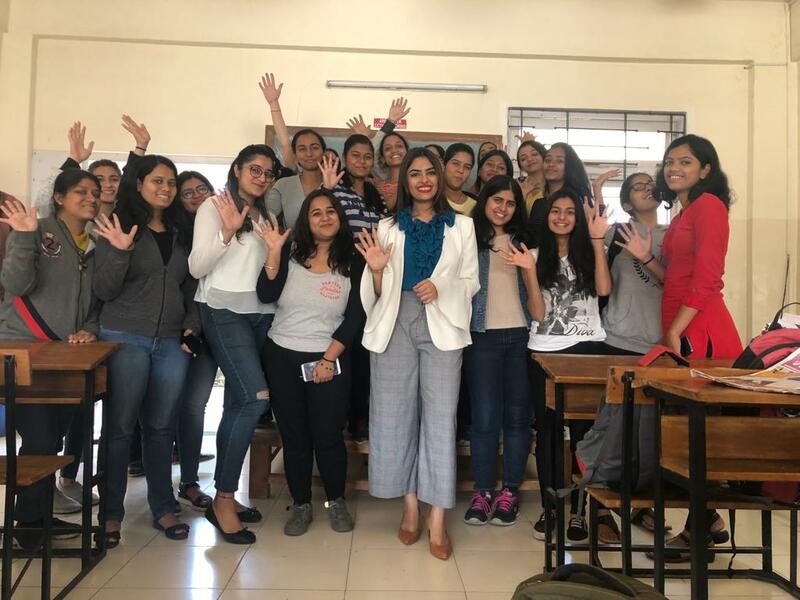 The Course was conducted by Ms. MihikaBhanot, an alumnus of our College,who is a certified Image Consultant and 2-time record holder as the Youngest Image Consultant in the world.A total of 46 students participated from across all streams BBA, BBA-CA, BA and BCOM. 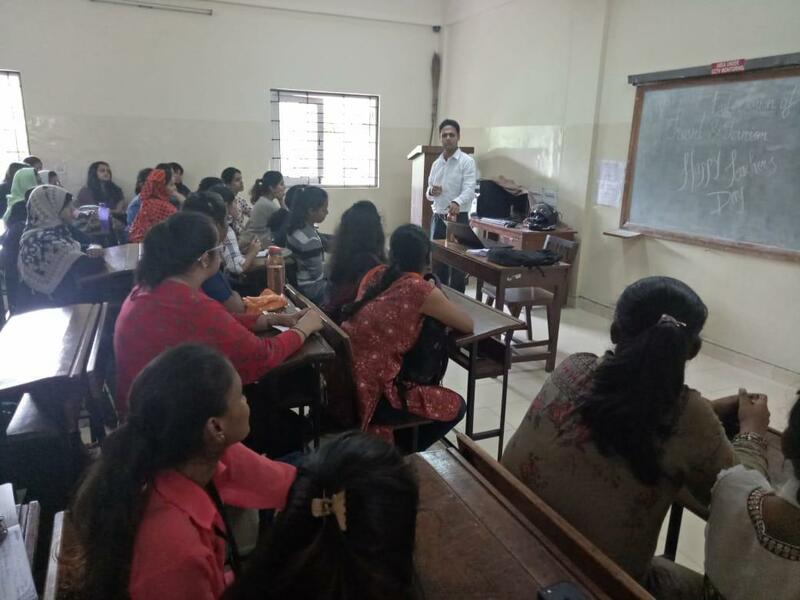 The course objective was to equip the students withknowledge, skills and techniques in the differences between different levels of dressingaccording to international style scales. The sessions helped the participantsunderstand how to project the right authority and dress in harmony whilelooking attractive and to communicate effectively while at work, to get more variety and versatility with few pieces ofclothing and to make the right first impressions and to manage their image effectively. 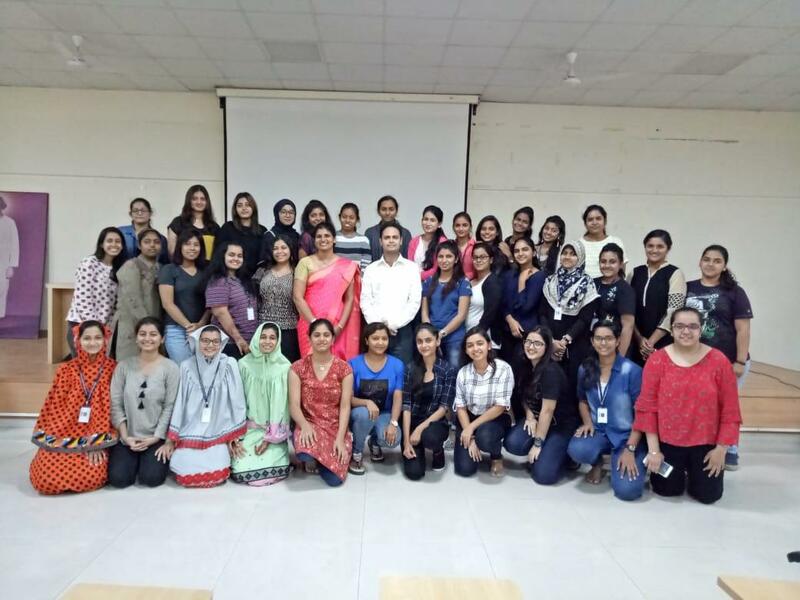 Department of Business Studies, St. Mira’s College for Girls, Pune organised an Additional Credit Course on Travel and Tourism. The duration of the course was 30 hours with two credits. Mr. Nikhil Paranjape, proprietor of Pravar Learning was the resource person. The course started on 16th August 2018 and ended on 5th September 2018. 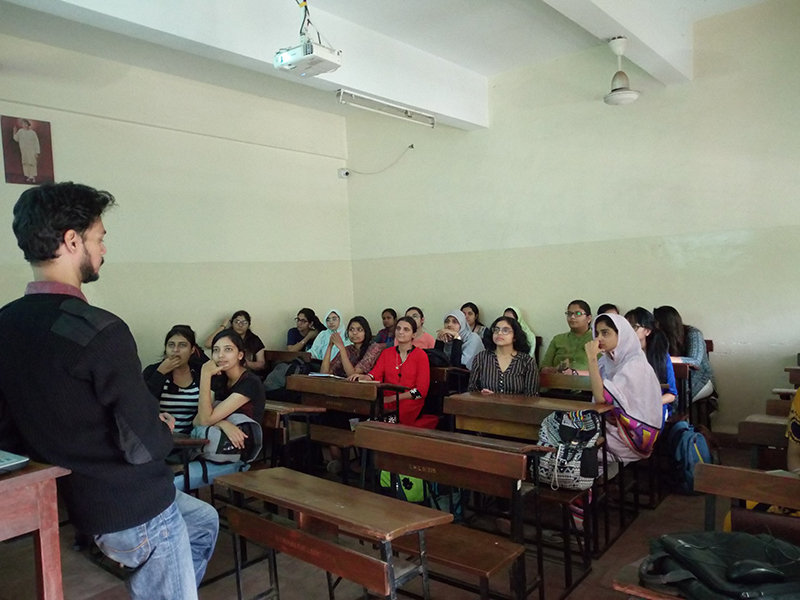 42 students were registered for the course which was coordinated by Asst. Prof. Shanthi Fernandes. 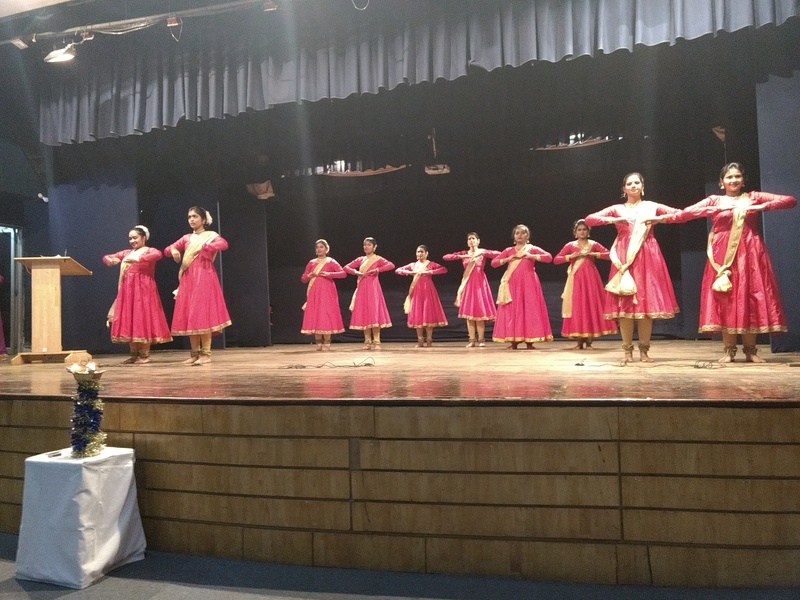 The Departments of Sociology and Department of History jointly organized a Lecture-Demo on ‘Kathak Dance: History and Form’ by RasikataiKulkarni, a renowned Kathak dancer along with her advanced level students on Feb 18, 2019. 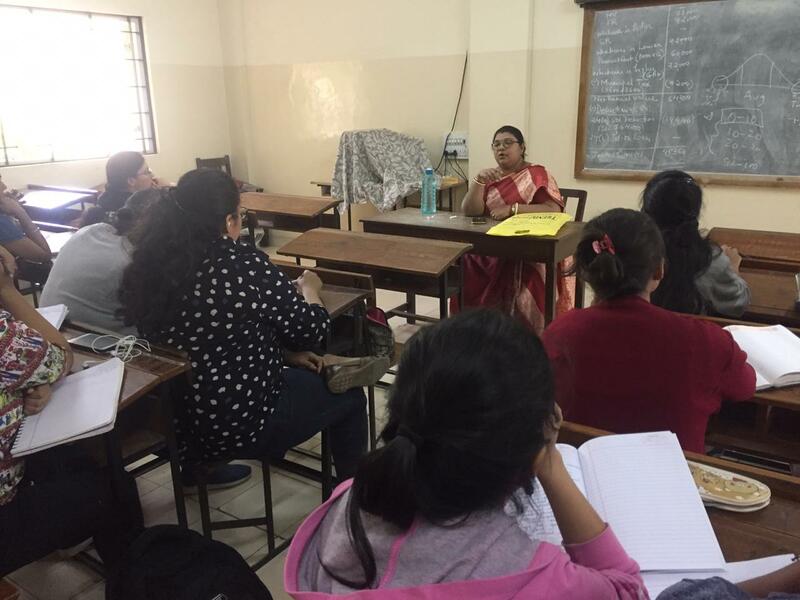 Rasikatai is currently teaching the Kathak credit course organized by Departments of Sociology. Both the departments have a significant focus in the syllabus on Indian Art and Culture. History looks at the historical evolution of art forms, styles and gharanas whileSociology is concerned with understanding social construction of the very definition of ‘Art’, the changing contexts of production and consumption of art and the hierarchization of art forms. Along with the main purpose of giving an overview of Kathak as a dance form, the programme had additional two-fold objectives – firstly, to provide an opportunity to the students of our credit course to showcase what they have learnt and secondly, to illustrate the rigour and dedication one needs to pursue any classical art form seriously. 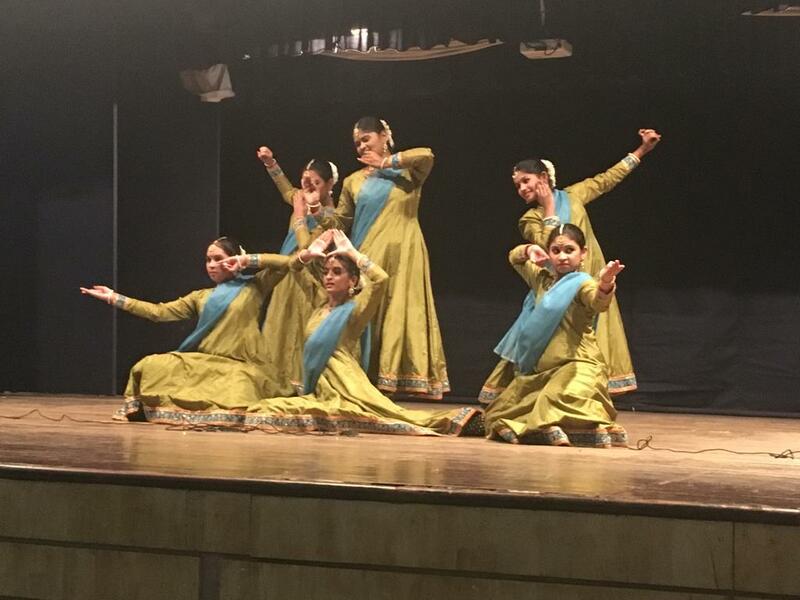 The programme unfolded the history of Kathak from the ancient period to the present era explaining the influences of Islam, colonial time and post-independent period in terms of changing content and purpose, presentation styles and changing patronage. Rasikatai explained the basic forms like tatkars, todas,chakkars as her students performed on tarana, bhajan, sargam and traditional bandish and compositions of Guru RohiniBhate. 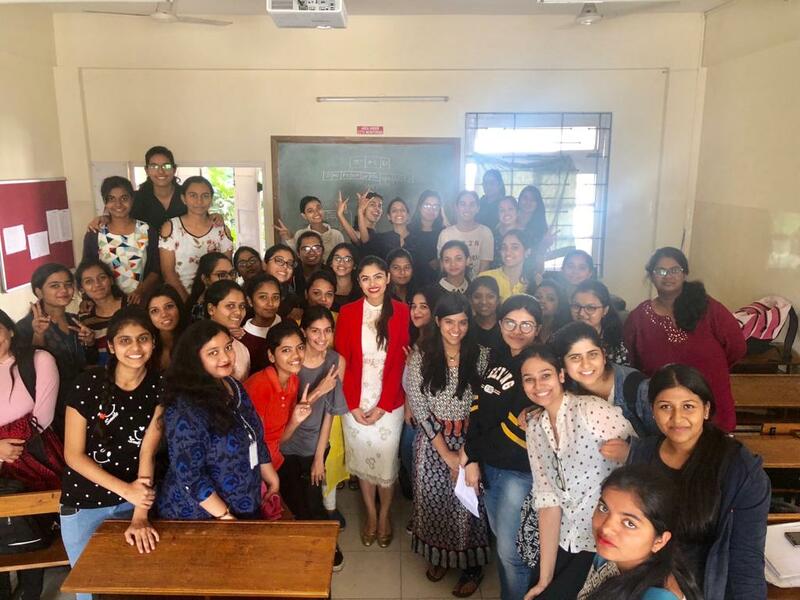 Interesting and innovative credit courses are always our way at St. Mira’s, one of which was a Salsa Styling Credit Course conducted by our very own final year BBA student, Ms. SimranWadhwani, a certified instructor in Performing Arts. 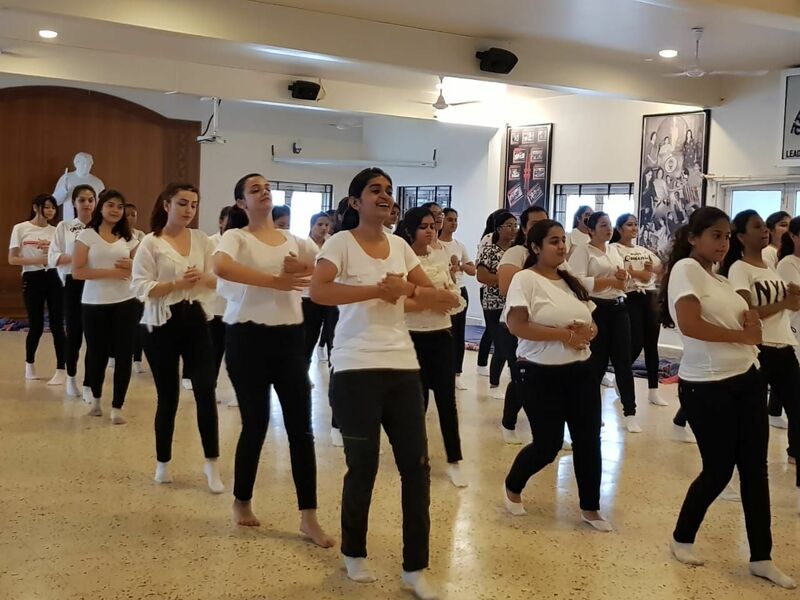 This 15-hour course helped students understand the better utilization of body motion and styling while introducing them to some flavours of international culture. The training was imparted to students from all the streams. This workshop was an endeavour to introduce different cultures and their art forms to students. 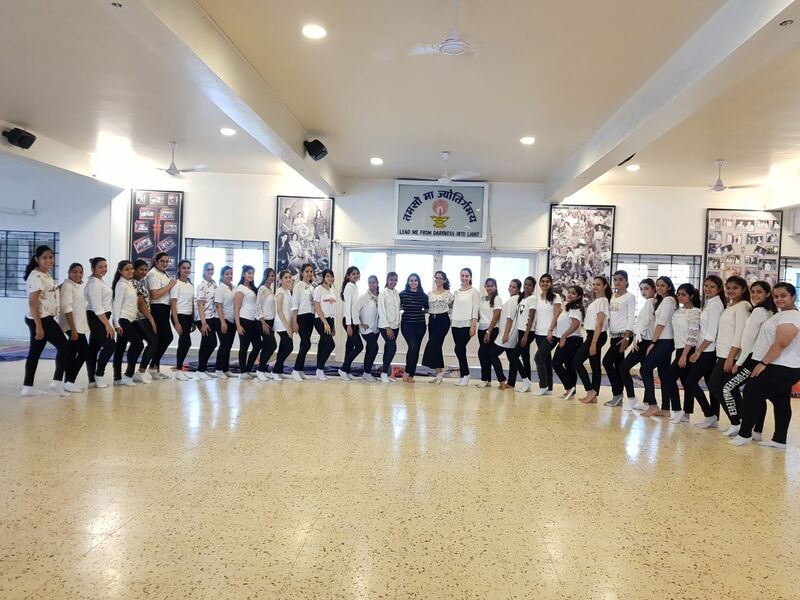 The instructor was successful in achieving the set goal of helping the girls learn more about the dance form and build better personalities at the same time. Practical and theory examinations were conducted at the end of the sessions for students, to evaluate their understanding and learning through the course. The students enthusiastically look forward to more such opportunities and learnings. St. Mira’s College signed an MOU with Tata Consultancy Services Limited in December 2017 for an AIP (Academic Interface Program). The objective of the program is making the students corporate ready while still studying in college. A Faculty Development Program was undertaken by TCS to train 18 teachers from the college in the Retail Analytics. 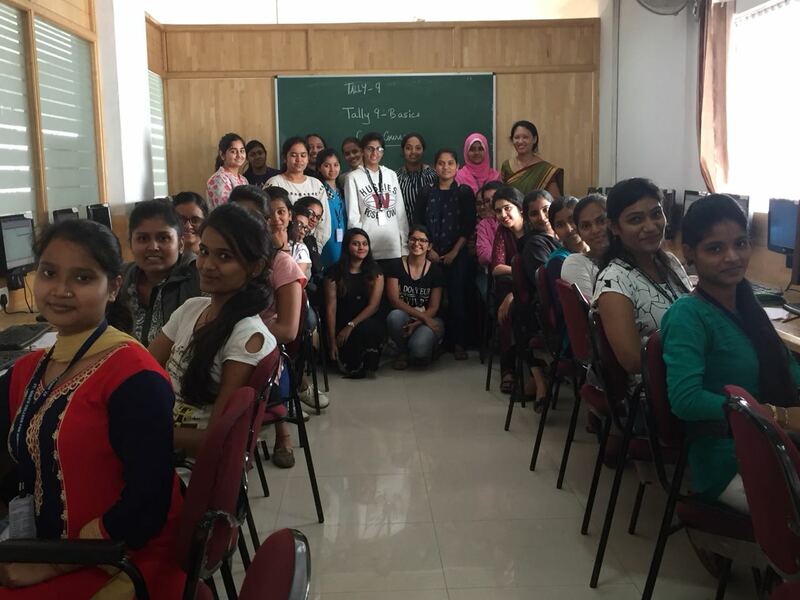 35 students from TYBCom and TYBBA in were then trained in Retail Analytics by the certified faculty. The course was completed successfully and these students will get preference for recruitment with TCS. 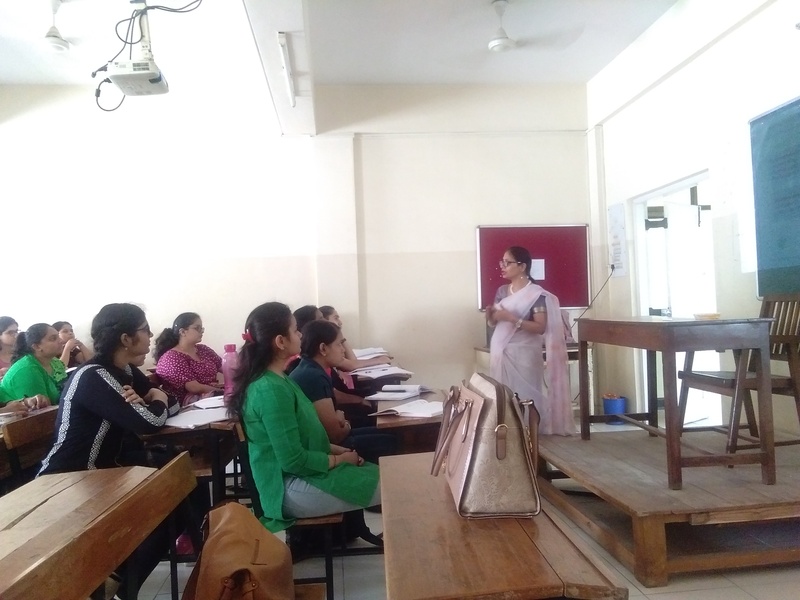 The coordinator for this course is Mrs. Deepanjali B. Mazumder. Department of Accounts runs a credit course on "Introduction to Tally 9" It is a 15-hour course. The main objective of this course was to give the students a practical exposure to accounting, and for implementation of their accounting knowledge. Knowledge of Tally is highly desirable because many businesses implemented Tally ERP 9 as their accounting or business administration software. In this course, students are taught company creation, handling ledger entries and its effect on financial statements. At the end of this course, the students have to undergo a practical and theory test. This semester we enrolled 32 students.